What were air raids like? Before the war, there were few aircraft and people only flew for fun. Aircraft were often biplanes which had two sets of wings, one above the other. They had basic controls so pilots needed clear skies to see where they were going. Britain never expected to be attacked at home. 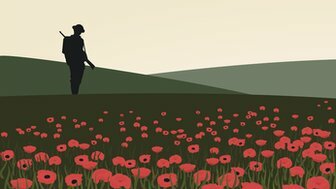 As air raids started, soldiers and pilots were called on to defend the country. 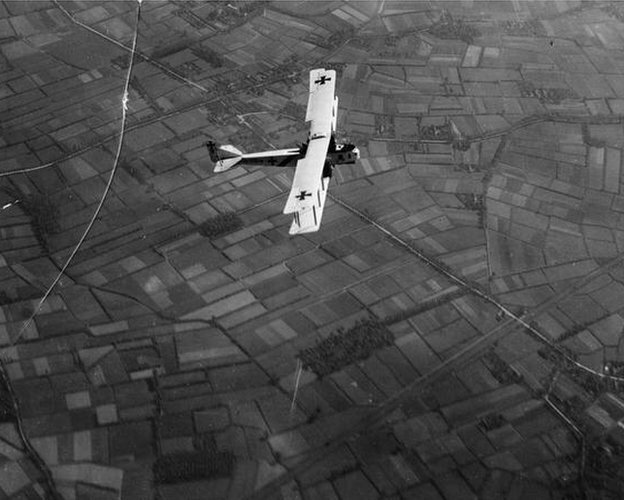 By 1916, pilots from the Royal Flying Corps and Royal Naval Air Service were fighting the German raiders in the skies, helped by soldiers manning guns and searchlights. What were planes used for during the war? Germany wanted a plane that could travel a long way and carry many bombs. 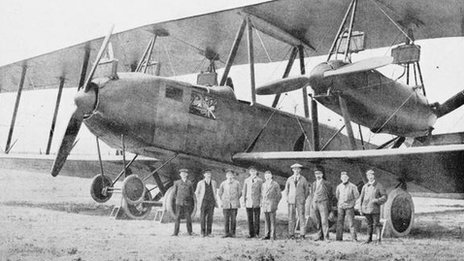 Their new Gotha bomber was a biplane too, but it could fly higher than any of Britain's aircraft. Its wingspan (the measurement from one wing tip to the other) was almost 24 metres, the length of two buses today. The first Gotha attack was in May 1917 when 21 planes headed for London. But with cloudy skies over the city, the German pilots turned back and bombed the Channel port of Folkestone and the nearby army camp at Shorncliffe. Many people were killed and even more were injured. Small British aircraft from the Royal Naval Air Service took to the skies to fight back and shot one Gotha down over the English Channel. A few weeks later, on 13 June 1917, the skies were clear and the Gothas made their first daylight raid on the capital. This time 162 people died, including 18 children when a bomb landed directly on their school in Chelsea in London. End Quote An onlooker describes seeing a squadron of Gotha bombers on a daylight bombing raid. The Gotha bombers caused much more damage than the Zeppelins ever had, but a new German aircraft would soon be seen in the skies over Britain. The Giant bombers were huge, tough planes with a wingspan of over 42 metres, almost as wide as a football pitch. They could fly for up to 500 miles and carry many bombs to drop on Britain. Not one Giant bomber was ever shot down during the war. The success of German air raids was one of the reasons the Royal Air Force was formed in April 1918. The Government realised Britain needed better aircraft and more trained pilots to fight the war in the skies. Teachers' notes and classroom ideas looking at air raids during World War One.